Slama Legal Group is a team of experienced litigators committed to excellent representation of our clients with a practical approach. We limit our practice to the highly complex area of medical litigation, handling all types of cases where medical issues are involved – from medical malpractice and nursing home negligence, to mass tort cases and class actions involving medical or pharmaceutical products. We also handle HMO litigation and insurance bad faith cases, including those involving medical issues and health care. Slama Legal Group accepts only a small number of carefully selected cases limited to catastrophic injuries or wrongful death. All cases are handled on a contingency fee arrangement, meaning you owe no attorneys’ fee unless there is a recovery. We investigate all cases at our own expense. This means you will not be asked to pay any money up front for experts or other investigative costs before you know whether or not you have a case. If we accept your case, and there is a recovery, the expenses are repaid from the recovery. We welcome the opportunity to work with other attorneys who refer their clients to us. 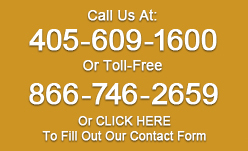 The vast majority of cases we accept are those referred by former clients or other attorneys.